Today we travel back to the Northwest for Jenni and Bjoern's classy Oregon wedding. 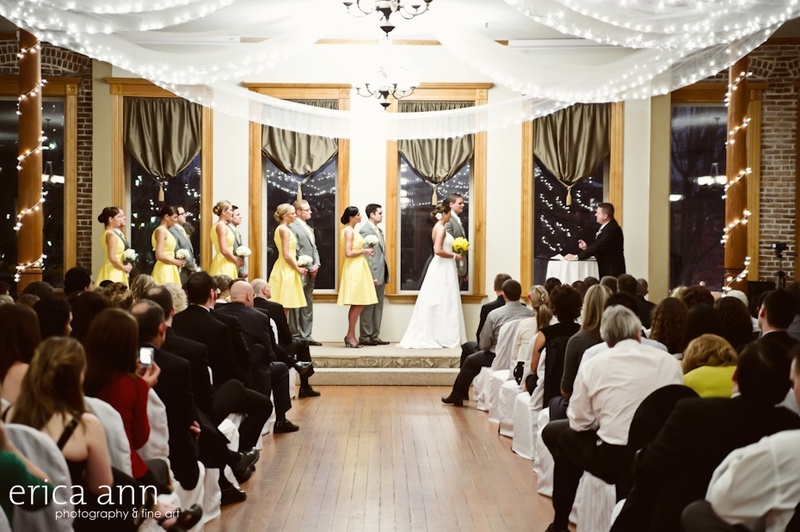 Their ceremony and reception took place at the McMinnville Grand Ballroom. 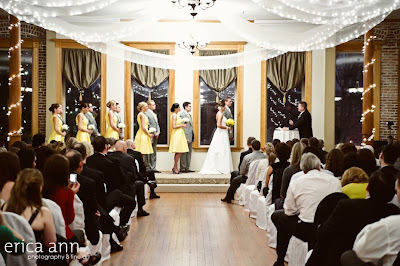 I've never seen a bridal party set-up this way for a ceremony before, but I thought it was original, and definitely worked for a small stage. When asked for a memorable moment, Jenny said, "my sweet sweet hubby forgot his middle name during the vows, and got everyone laughing." 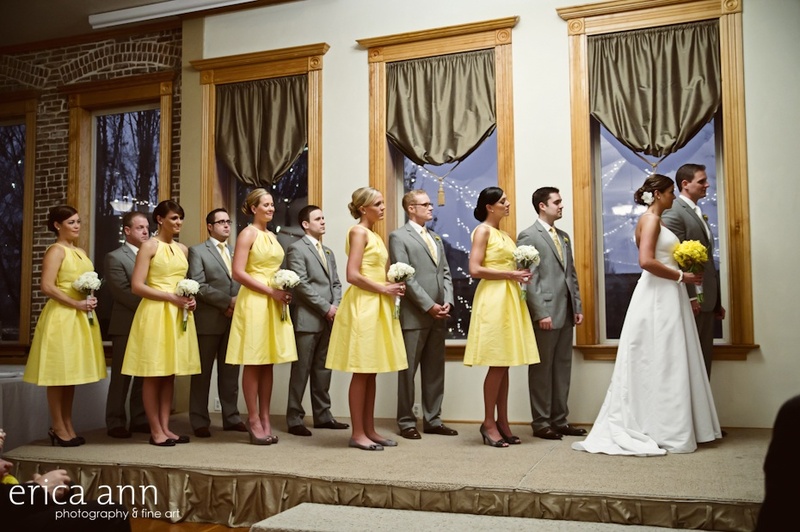 After the ceremony, the bridal party had their photo shoot at Third Street Flats boutique hotel in the bride and groom's suite. 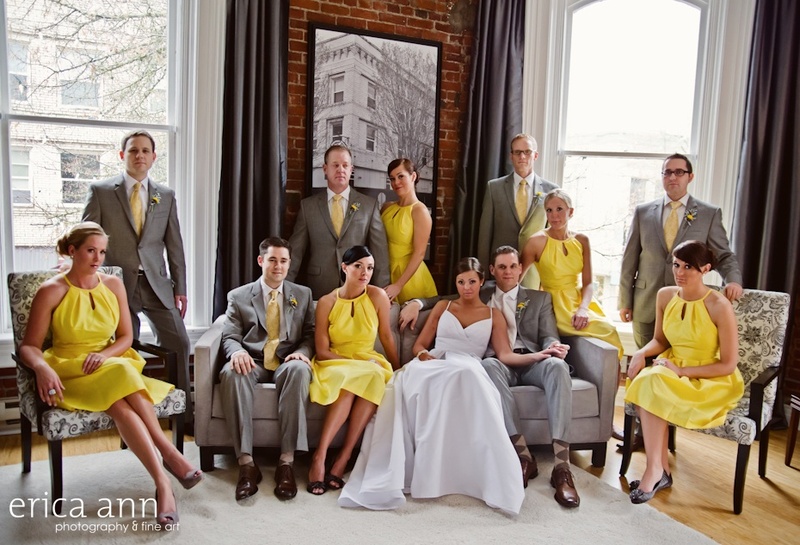 I love the stylish setting and how it matches their gray and yellow color palette perfectly. Guess I know now where I'll be staying if I ever take a trip to Oregon! The bridesmaids wore Alfred Sung Style D449 in the color Daisy. The girls loved their dresses, as did everyone else. I had a tough time finding dresses in the right yellow. 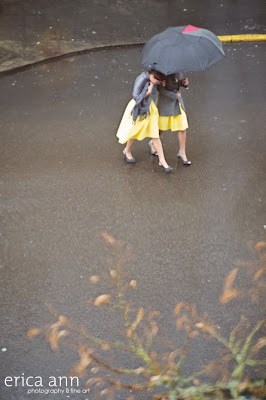 I wanted something as bright as possible to bring some sunshine to a rainy January day, the dresses did just that! Thank you for all your help and making the ordering process so smooth! Their wedding is our third featured wedding in a row that was rained on! Come to think of it, it did rain a lot this past year. I love this photo, it looks like it could be on a greeting card. 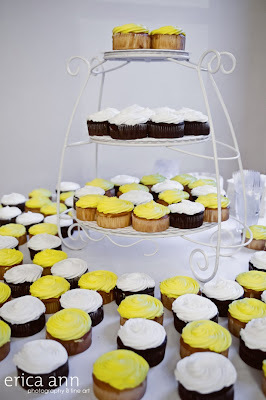 Jenni's goal for the wedding was to keep it as simple and stress free as possible, she was happy to report that she felt they had accomplished just that. Her favorite moment of the wedding day was walking down the aisle as husband and wife. "The feeling of complete happiness that I just married the man of my dreams, and we were now going to live happily ever after." 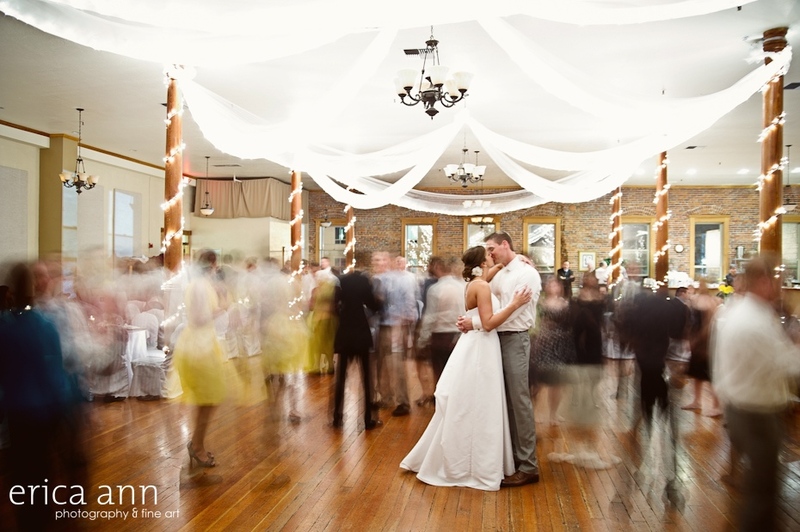 Jenni and Bjoern, thank you for sharing your wedding with us. It was a beautiful start to your fairytale ending! 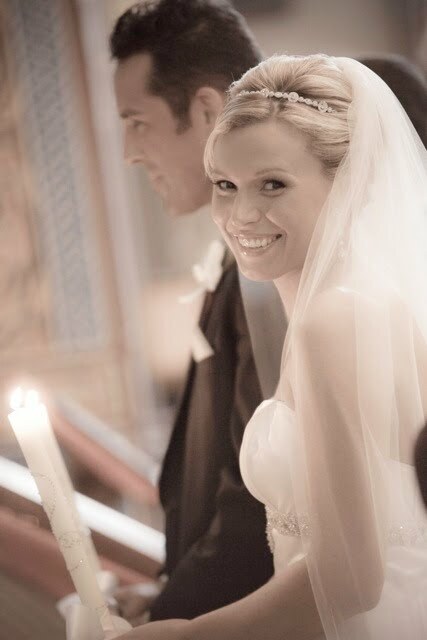 Today we are featuring photos provided from bride Stephanie, who wore one of our best-sellers, the Art Deco Crystal headband by Malis Henderson. Stephanie and Samuel's October wedding took place in Maine. They rented a beautiful beach house just down the street from the reception venue for the bridal party to stay in, which also was the venue for the after-party. What a great idea! The morning of the wedding, Stephanie's father cooked a huge breakfast for her and the bridesmaids while they had their hair and make-up done. Stephanie's wedding was not without drama. It "ended up raining cats and dogs" that morning. Moreover, the limo broke down on the way to pick up the bridal party! 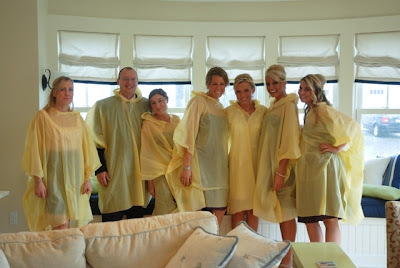 "My mother tried to make the best of it and she whipped out 10 yellow ponchos from her purse. I thought “no way am I wearing that!” but then my maid of honor thought it would be funny to put it on, so everyone started putting them on and making funny faces! One of the funniest photos is all of the bridal party posing in these awful ponchos. 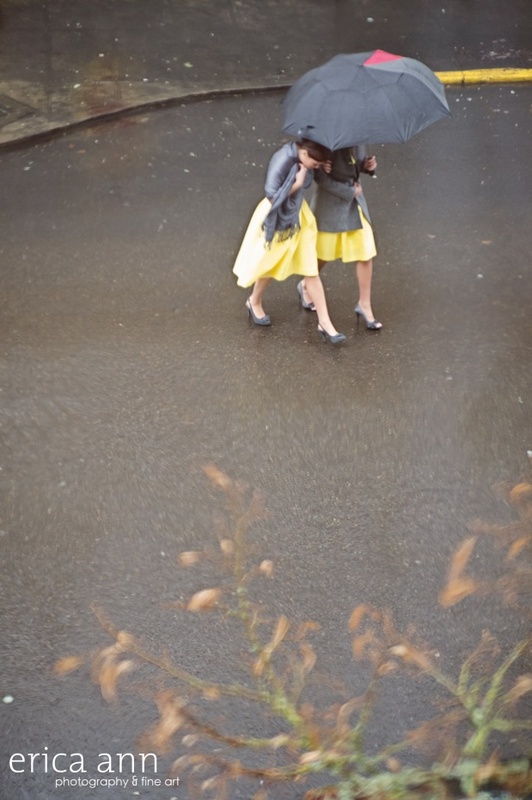 But it made me laugh and helped me not to stress about the rain or the late limo." There's nothing better than a good friend who can make lemonade out of a sour situation. I love this shot of Stephanie getting out of the limo rocking her poncho with a big smile on her face. 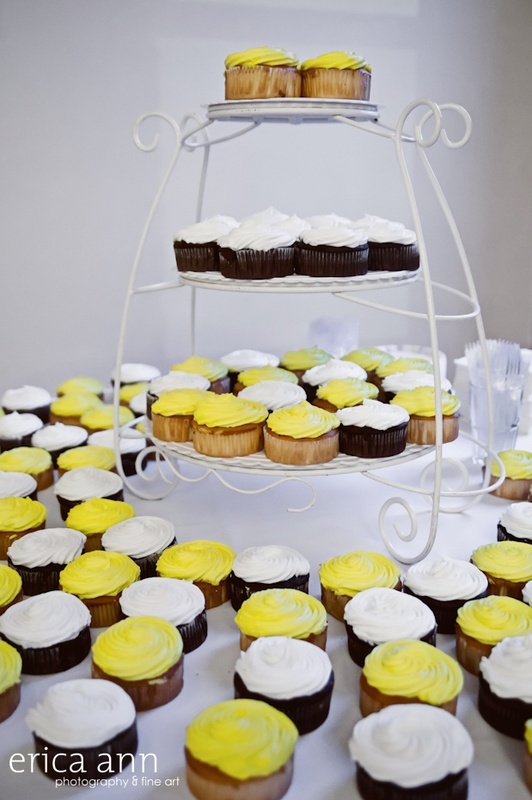 The ceremony took place at Saint Demetrios Greek Orthodox Church in Saco, followed by a reception at The Landing at Pine Point in Scarborough. 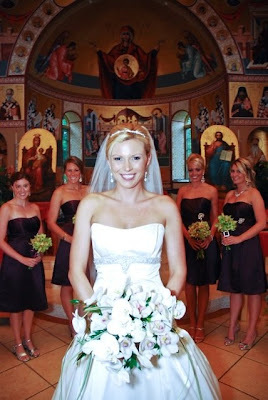 One of Stephanie's favorite things about the wedding was being able to show friends and family a traditional Greek Orthodox ceremony. Everyone was incredibly moved by the beautiful ceremony and it made all of the careful planning worth it in Stephanie's mind. She also loved her wedding flowers, which were primarily orchids, with lots of crystals tied in for a regal, elegant and sophisticated look. Finally, a close-up shot of Stephanie looking absolutely gorgeous in her crystal headband! 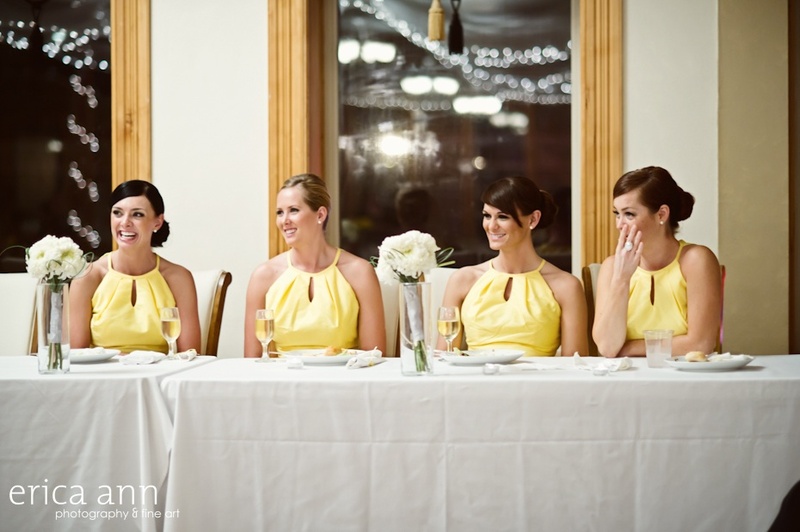 "The headband was the perfect complement to my Kenneth Pool gown, I couldn’t have been happier! Thank you!" Thank you, Stephanie and Samuel for sharing your beautiful day with us. 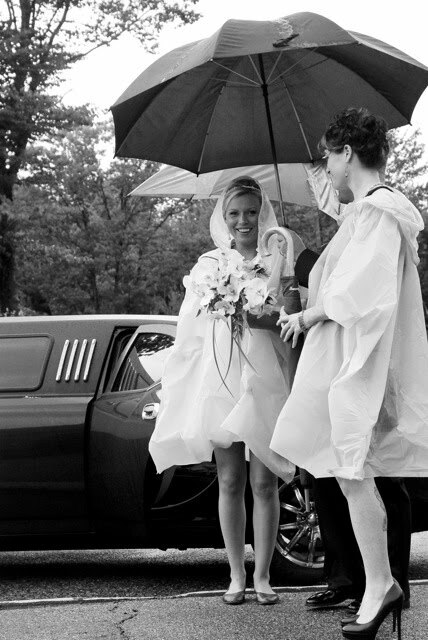 We all know that rain on your wedding day is supposed to bring good luck. May many more blessings shower down on your marriage!